When it comes to getting children to eat vegetables, every parent knows that the struggle is real! Our little ones seem programmed to not eating certain vegetables, no matter what. So how do you ensure your little one gets the required nutrition from vegetables? The answer is simple, super parents! Soup. 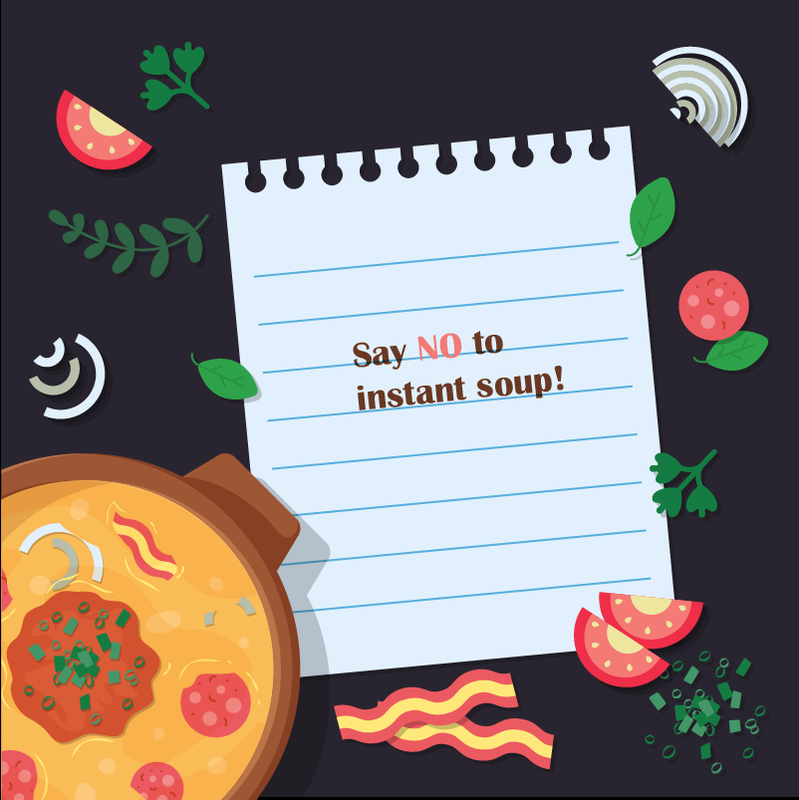 Not only is soup good for every kind of soul, it is easy to make, fun to eat, and packs a nutritional punch. So when your child is having a particularly fussy day food-wise, or you don’t have too much time in the kitchen, try out these five soup recipes. Your little ones will love them! Celery, carrots, apples and potatoes join forces with cheddar cheese to create this tasty, relatively healthy soup. Trust us, your little ones will come back for seconds and thirds. It takes only 30 minutes to cook up this delicious delight. So the next time your little ones want a yummy snack, you know what to make! Broccoli, the enemy that unites almost every child. “Broccoli? Ewwww.” Yes, we have all heard that one. However, this super green is packed with Vitamin C, calcium and has many health benefits. So super parents, try this insanely amazing soup recipe. Your children won’t guess Broccoli is the star of this recipe! Tomato soup needs no introduction. This is undoubtedly a favourite amongst many. With this recipe, you can use ready made bread or make your own! We guarantee this soup will be an instant hit with your little ones. Just like broccoli, cauliflower isn’t a favourite amongst children either. However, cheese makes everything better! This cheesy spin on an otherwise ordinary soup will have your little ones craving more! Pasta and soup? Your little ones will love this pasta soup. Which child can say no to pasta? The best part is that the soup is full of vegetables and really simple to make. Masterchef-parents, are you ready? Super parents, go ahead and soup-rise your little ones!